Observation - Bird - Brent Geese skein - UK and Ireland. 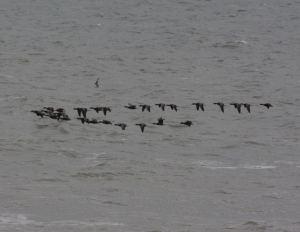 Description: Typical Brent Geese skein, low over the water. Typical Brent Geese skein, low over the water.